LED’s brightness can be controlled with Pulse Width Modulation or PWM. Arduino only have so many PWM ports. 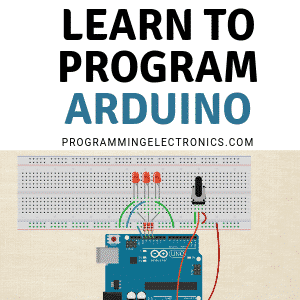 Did you ever wonder how to control the LED on any Arduino Pin? Here is how you can make it. By setting the duty cycle we can affect the lit time of the LED and by using frequencies that our eye cannot distinguish (usually higher than 40 Hz) for refresh rate, we get a feeling LED isn’t blinking. 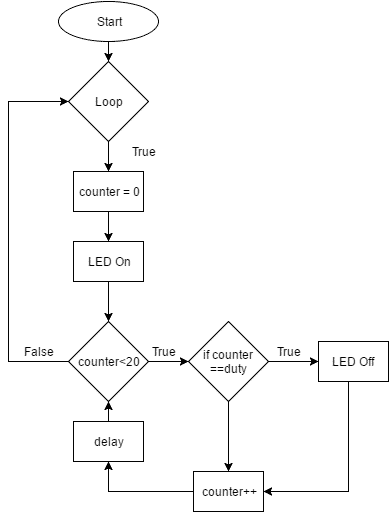 If for example duty cycle is set to 25% that means LED is lit 25% of the time. Our eye will see LED dimmed at about 25%. If duty cycle is set to 75% LED will be brighter and with duty cycle at 100% LED would be the brightest. When using analogWrite() function, this is easy. But How to do the same on pins that does not have option for PWM? As said before, we need signal with constant frequency/period. The best way to set duty cycle is to divide period into several smaller steps. These steps count as different duty cycles. If there are 20 steps in one period, this means that we can set our PWM with 5% resolution. I think you get the idea. 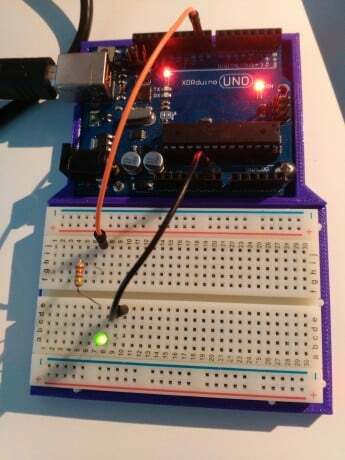 This code can be used to implement dimming or raising the brightness of the LED, like in the example bellow, or controlling single LED. I would not recommend using this code with any other longer bits of the code, because results may not be as predicted.